Whether you are a beginner looking to make a mark on the internet or just wanting to learn some stuff, or a pro who wants serious business online, Google is always there to help you. At the Google Webmaster Central blog, you will find any number of news, tutorials, tips, and best practices involved with webmastering. Google wants to help you out in making your content available to the world, and has released many items related to Search Engine Optimization, Google released an eBook some time ago which contained all the basic SEO tips you could think of in a nutshell. 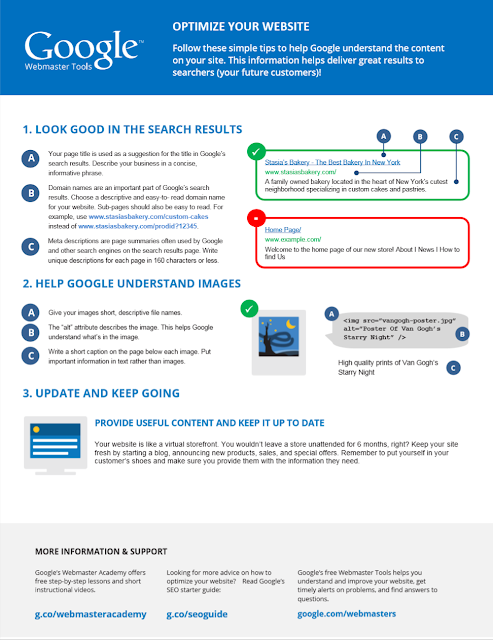 Well now, for starters, Google has released a new one-page quick-start eBook which captures the essence of SEO as it is used today. Dubbed as a 'first steps cheat sheet' by Google, this eBook is specifically designed for people who have set up a blog or an online presence, but haven't given much thought to search. They might have made some content, but don't know the ABC of getting their website into Google Search. This book is a very short and concise guide on search engine optimization, with tips on how to create SEO friendly design, This will help search engines like Google itself to better understand the content on your site, and hence will increase its visibility. Take a look at this amazing one-page SEO eBook here. If you're more of an advanced user, we something for you too! 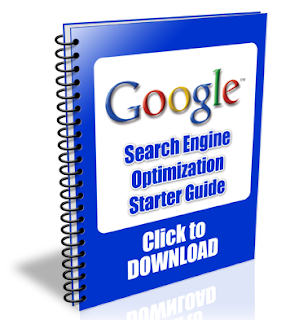 You can check out the more extensive Google SEO Starter Guide that will detail you through most of the basic SEO aspects.